Mrs. Harrison donates $25 for each year of Berry's Silver Anniversary. 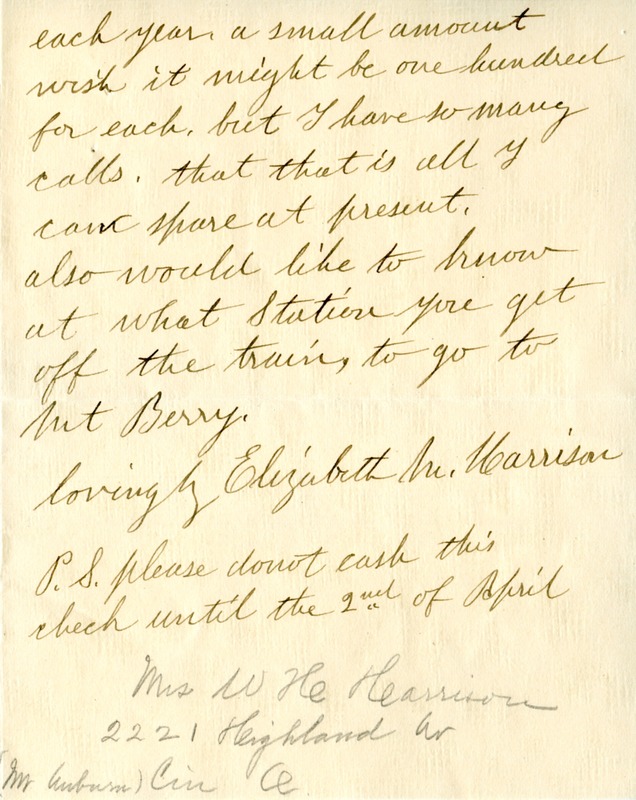 Mrs. Elizabeth M. Harrison, “Letter to Martha Berry from Elizabeth M. Harrison.” Martha Berry Digital Archive. Eds. Schlitz, Stephanie A., Meg Ratliff, Bob Williams, et al. 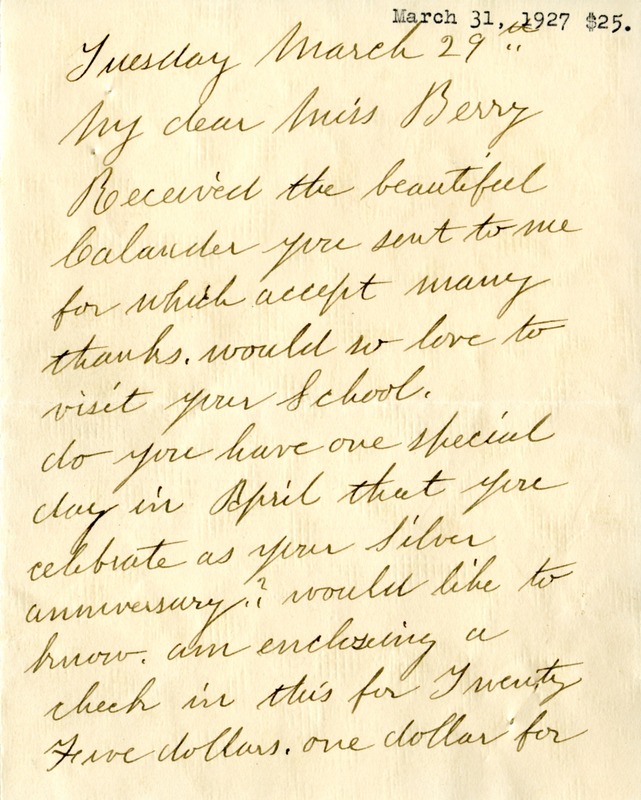 Mount Berry: Berry College, 2012. accessed April 23, 2019, https://mbda.berry.edu/items/show/4478.